Clarifying Steam Bath supports the skin’s natural self-cleansing functions, opening pores, reducing the appearance of redness and softening blackheads and impurities before deep cleansing. Recommended for all skin conditions and especially helpful to blemished and combination skin. Really works on spots as well. Interesting smell of witch hazel which smells medicinal. I only steam my face for 5 minutes because I have sensitive skin. I followed the steaming with the Calming Face Mask. Skin looked calmer and felt fresher. More effective than I could ever have imagined. Complete your personal skin care regimen with an appropriate mask. 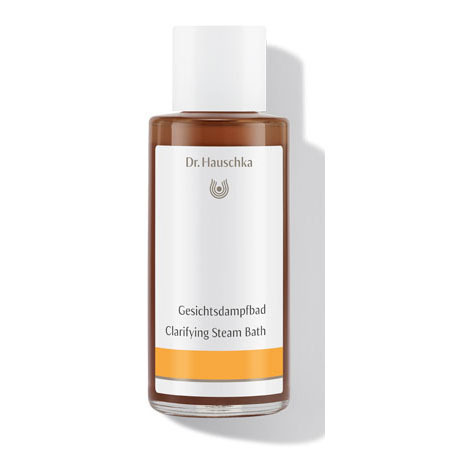 Apply a drop of Clarifying Steam Bath directly to blemishes to soothe and calm skin.